If you followed my last post about PINCHme and you actually signed up for an account, here is a great offer that I got through an email from them. YERDLE, an online thrift store, is just like OfferUP – people sell pre-owned stuff at more than 50% discount. There are really good deals on the site and many are like new items. People who are already members of PINCHme should have received an email from them with this offer of 35$ credit to join YERDLE. If you are NOT already a PINCHme member, don’t worry you can still get 35$ + free shipping through my referral link. Click here to claim this offer. Author frugalmilitarywifePosted on October 22, 2015 October 23, 2015 Categories FreebiesTags budget, budgeting, clothes, fashion, free stuff, freebies, frugal, frugality, garage sale, lifestyle, money, personal, PINCHme, pre-owned stuff, promotions, sale, thrifting, YerdleLeave a comment on Join Yerdle to get 35$ credit + free shipping! 5 items for 0.00$ – FREE!!! with a new account (top right corner). 2. In order to receive an additional 10$ credit, you need to create a personal collection. Just press on the pink link and then just filter the brands you want, size, color, etc. and press save. 3. The credits will be automatically added to your shopping cart. 4. Use this coupon code for an additional 50% discount when you check out. Make sure you use all your credits (25$). NOTE: The credit will not be applied to items with tags (new), but it will work with items labelled as in good condition. I still suggest purchasing brand items with tags, as they are still at budget-friendly prices. Brand items include Ralph Lauren, Calvin Klein, Jessica Simpson, Old Navy, Banana Republic, BCBG, Zara, Nike, etc. 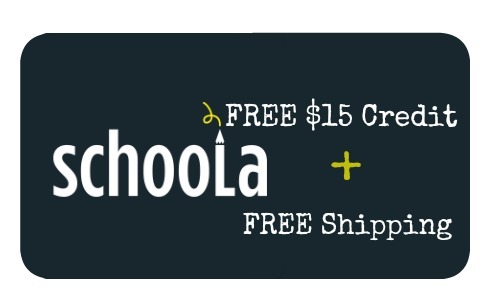 Schoola is an online thrift store that raises funds for schools around America. All items are donated by people like us. They offer quality clothing (even branded items!) at up to 70% off retail with 40% of proceeds benefiting kids. I was really happy when I found out that we were going to PCS to San Diego, mostly because we vacationed there when we were dating. I really liked our experience there and I think we would fit right in. YES, I am THAT new 20s military spouse that is learning her way one step at a time through the military lifestyle. It’s only been 2 months after all. Luckily, there are a lot of helpful websites/blogs (military.com & militaryspouse.com) and support groups/services offered to military families to guide them through their first (or more) PCS. In a couple weeks, B and I will be PCS’ing for the first time since we got married. PCS stands for Permanent Change of Station. It’s basically moving from one duty station to another. I’ve know a couple of military families that were lucky enough to stay in the same place for years (it’s possible, but not the norm), the reality is that most are hit with last minute “Pack your things, you’re moving”! Nothing is usually permanent. We have been looking at all our options for transportation from Norfolk to San Diego and we have decided to take our own vehicle and go on road trip! Yes — many have called us crazies. It’s a 38 hours drive after all (if all goes well!). The main reason why we chose to DRIVE to the West: Discovering new places, we love traveling after all! I have been to the U.S. several times when I was younger, but mostly on the East coast. This is a great way for us to see more of America. We are really looking forward to seeing iconic wonders of the U.S. It is also our first BIG trip together since I became a MRS. Yes, I know, it’s not a “vacation”. We are PCS’ing, but I have heard many military families driving to their next duty station. We will stop several times during our trip — mainly because B will be doing most of the driving. I am not an experienced driver (only got my license in January 2015). Driving to the West coast means we will need to plan where we will be staying and what we will eat. It’s also ALL about BUDGETING. My sister drove from Louisiana to Virginia to come our wedding and she suggested many budget-friendly Bed and Breakfast places, so I will look into that. She also said that it’s very difficult to find good places to eat when you are on the road, since most exits only have fast food joints. I really want to avoid fast food. I know, I know it could save us a few bucks, but at the expense of our health. Do you know any budget friendly restaurants and/or Bed & Breakfast places we could stay? We are planning to stop in several states including NC, Georgia, Alabama, Louisiana, Texas & Arizona.